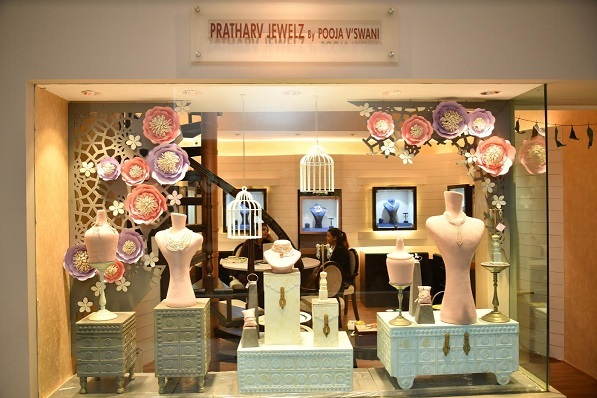 It was a day high on Sparkle and Jewellery when Jewellery Designer Pooja Vaswani, Founder at Pratharv Jewels on the occasion of 15 years completion, opened her Luxury Jewellery showroom at the most grand location – The Lalit Hotel, New Delhi. The day also marked the 15 glorious years of her work in Fine Jewellery industry. 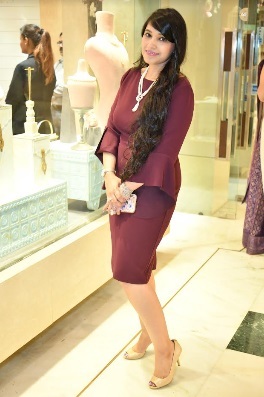 Beaming with Happiness on the launch of her new showroom, Pooja Vaswani on the occasion said I can’t express my gratitude to my Family, friends and clients for trusting us with their Jewelry needs since last 15 years. Our New collection “Reine” meaning queen in French is surely an exclusive amalgamation of finest and contemporary designs designed for the empowered women of today. Seen at the event congratulating the designer were some of the most eminent women from Delhi coming together for previewing of the on-display. The guests in attendance were amazed at the new collection on display and loved the hospitality provided. The names of guests included known faces like Christine Samandari, Renu Shahnawaz, Ratan Kaul, Guadulupe Romero Silva and more. Being a certified Jewellery Designer (IIGJ), Gemmologist (IGI) and Graduates Diamond (GIA), Pooja Vaswani has impeccable taste and skills in the art of jewellery making. Belonging to the city of diamonds, Surat, the passion for fine jewellery runs in her blood. After completing software engineering Pooja finally found her true calling and has never looked back ever since. Having also collected many awards and accolades for “Pratharv”, Pooja continues to push the boundaries of excellence. “Reine” meaning The Queen in French is the theme of New jewelry collection launched by Pratharv Jewels – “When the whole point of Queen was to be original“. Keeping this in mind Pratharv Jewels has come out with a unique one of a kind – sophisticated & eternal pearl, diamonds and gemstone jewellery collection this Diwali which embraces grace with empowerment & brings out the inherent beauty of every woman. You can get a glimpse of stunning new collection at our newly launched store at the Lalit Hotel New Delhi.